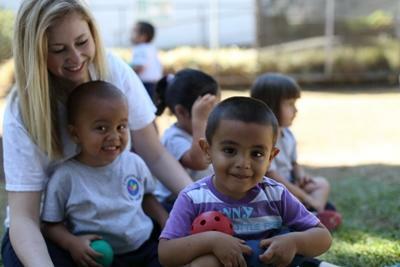 Volunteering abroad on a Care Project in Costa Rica will be a challenging but rewarding experience as you help care for children, young adults, or the elderly, while getting to know this beautiful country. You do not need any qualifications or previous experience to volunteer on a Care project. If you have energy, enthusiasm, and compassion, you will be able to make a difference, whether you are 17 or 66. Gap year students, college students, career breakers, or retired volunteers are all welcome. Costa Rica is a relatively prosperous Central American country with a developing tourist industry, and a reasonably good standard of living - there is a huge potential for economic growth. However, there is always a need for extra assistance at many of the kindergartens and care centres. 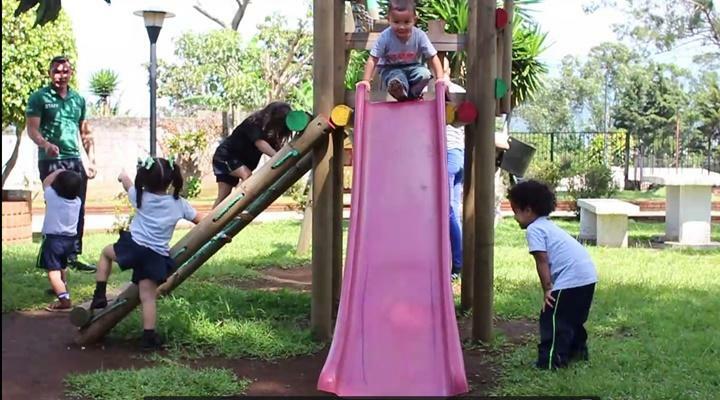 Our Care placements are based in and around the city of Heredia. The placements are spread throughout the towns, and you will normally travel to work by bus, although some placements may be within walking distance. You can read more detailed information about the aims of the project in ourCosta Rica Care Management Plan. 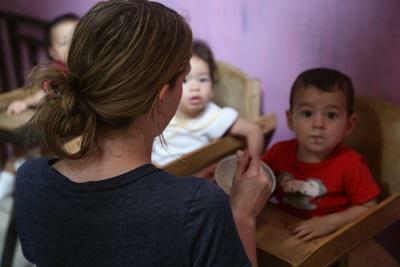 The majority of our Care placements in Costa Rica are in day care centres for disadvantaged children, with ages ranging from just a few months to thirteen years old. YYou will help with day-to-day practical tasks, such as ensuring that the young children are ready for the day, as well as developing important life skills by assisting with basic education, including teaching numbers and the alphabet. You might help with reading, writing, and arithmetic as well. You might also assist the local staff with tasks such as serving food, washing dishes, and cleaning, which are essential to the daily running of the care centres. With older children, you can make an impact by offering your friendship and support. This is also the perfect opportunity to put any skills you have to good use. Suggestions for various games and activities will always be well received. From arts & crafts to soccer, the time you dedicate will help to add fun and enjoyment to their lives. Anyone with skills in art or music could put these to use by suggesting activities to the local staff, who will be glad to make room for your ideas. The options available are limited only by your imagination. We also have volunteer opportunities in kindergartens. Wherever you are working, there will always be a lot you can do to contribute to the care and support of the children at your placement. Songs, games, and sports are popular activities you can help organize. The staff will welcome any new ideas that you may have that will entertain and educate the children, such as drama activities, putting on a concert, or arranging a sports day. Enthusiasm and a willingness to throw yourself into your work, and of course a love of working with children, are vital. For volunteers with an interest in working with special needs children, we also have placements available at a special education centre. 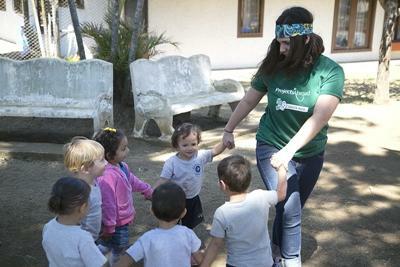 At this centre, volunteers work with children and teenagers who are affected by mental and physical disabilities. As a volunteer, you will work alongside local staff in the centre, caring for babies, children, and young adults with a variety of disabilities, such as Down syndrome. By giving much-needed support to the staff, and care and attention to the children, you will be able to make a hugely positive impact at the centre. This placement requires a great deal of dedication and patience, but you will be sure to find it an immensely meaningful experience. If you would like to work at a special needs placement in Costa Rica, please note that you will need to speak basic Spanish. In Costa Rica, you can also choose to work in a day centre for the elderly. Here, members are aged between about 65 and 90 years old, and they enjoy the company of our volunteers. They like activities such as light physical exercise, card games and bingo, and arts and crafts, which our volunteers can help with. You might also be asked to help out with fundraising events and administrative and maintenance tasks from time to time. If requested, you might even be able to assist in the centre’s physical therapy sessions. If you are interested in volunteering at a centre for the elderly, please let us know when you apply. You should be prepared to work a full working day. The majority of placements open from 7 or 8am until the early to late afternoon. Your exact hours will depend on your individual placement and will be decided with your supervisor when you arrive. All of the Care placements in Costa Rica close for at least two weeks around the third week of December to early or mid-January, depending on the centre. The special education centre closes for its main vacation from mid-December to mid-February, with a shorter break in the first two weeks of July. All of the placements also close for one week over Easter (Holy Week). Over the Christmas and Easter periods, volunteers are able to travel or enjoy the festivities with their host family. If you are a high school student and first-time traveler you may want to consider our High School Special programs in Costa Rica.